4. Fill in the blank: "Facing a lawsuit, website editors changed the content as a last _______". This is an artist's rendition of an image submitted by an independent contributor, who may have visited the island in search of Marco Polo. This rendition may or may not depict the "elegant", "quality", and "creative" designs that represent great value and importance to the proprietors of this vacation facility. In the opinion of the anonymous contributor, presumably after returning from the Beach: "This [vacation facility]... is quite upscale. Rather surprisingly, when one opens the door to the men's room in the main lobby area, this urinal can plainly be seen by all passers by." Civil statute section 495.151 of the state of Florida (a state with 1197 miles of Ocean coastline) protects the proprietors of this vacation facility from "INJURY TO BUSINESS REPUTATION AND DILUTION". 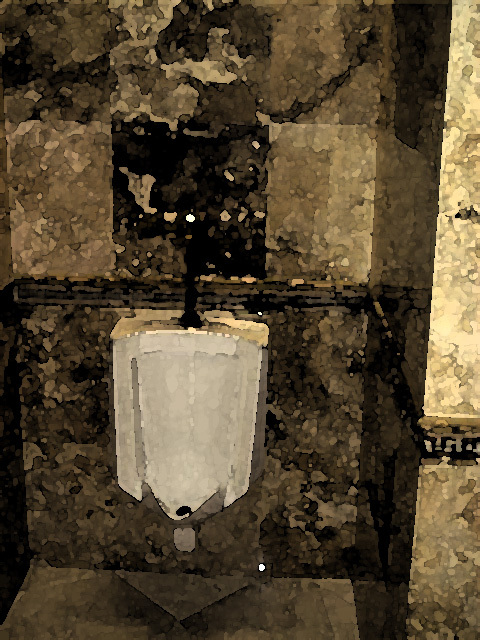 Accordingly, the editors of Urinal Dot Net strongly urge all patrons to remain encouraged about and maintain a positive light on the Resort.